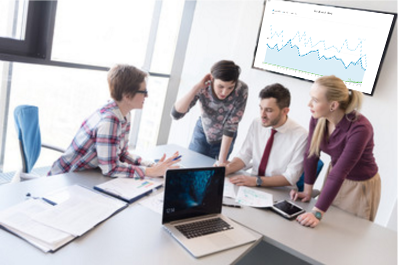 Run your important business data and metrics as fullscreen slideshow that is connecting to your SQL and OLAP data to show business performance and key data indicators in real-time! Any created dashboard could be run as slideshow with one click. Kyubit BI software presents tools to create your own data visualizations slideshow in minutes. Create OLAP analysis or SQL/MDX queries that connects to your OLAP and SQL databases. Create new dashboard and choose visualizations that will be based on created analyses and queries. Click 'Slideshow' button that will start fullscreen dashboard slideshow querying data sources and presenting visualizations and metrics in real-time. While designing Dashboard user set slides transition duration and caching options that could cache return data and not query data sources for same visualization for a defined time in minutes. 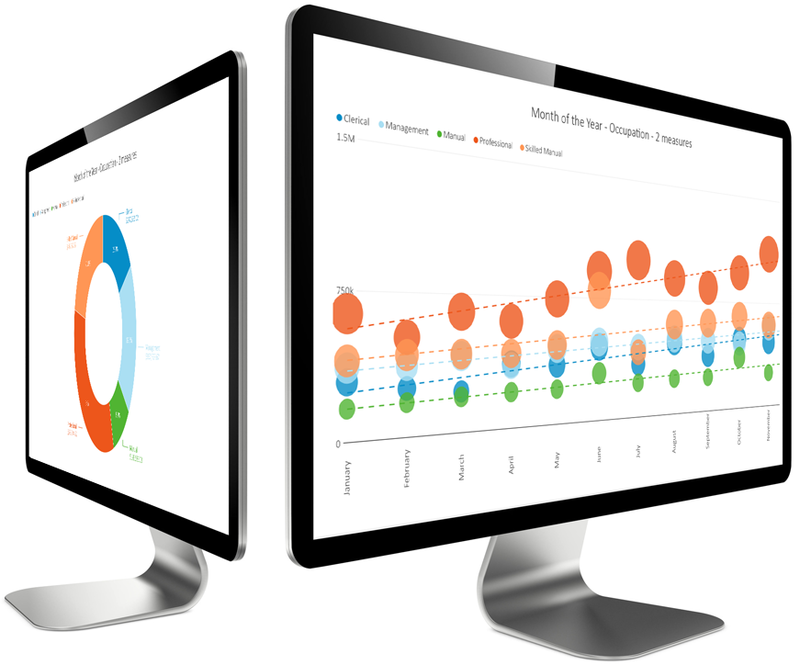 All dashboard visualizations are transformed to fullscreen mode during slideshow presentation, presenting only chart/metric data, dashboard tile title and description for the displayed visualization. Slideshow logic rotates all dashboard visualization one by one, column by column, repeating until slideshow page is closed. 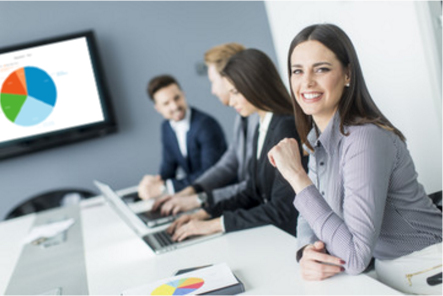 Opportunity to display data visualizations and metrics as fullscreen slideshow, makes this feature ideal for data monitoring or presentations where lot of people can see data at the same time on big screens. 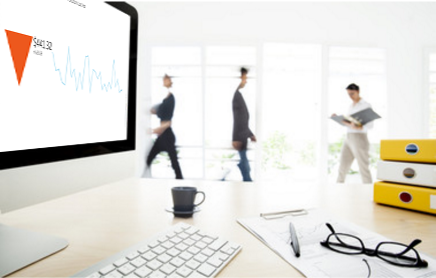 Key performance indicators and metrics are easy to track and current business performance is visualized and presented to the audience. As soon as data in related data sources is changed, slideshow visualizations will automatically reflect changes without any intervention. Download 30 days evaluation of 'Kyubit Business Intelligence' and see Kyubit data slideshow features in action.